It's just another day in New York's Bellevue Hospital -- the loony' bin. That is, until psychiatric nurse Sharon Blautner interviews Bill Kaiser, a nutcase the police found lurking in an exclusive apartment building. Bill displays the classic signs of paranoid schizophrenia. Yet he seems startlingly intelligent and unusually sympathetic. So much so that Sharon lets slip a painful memory of her own -- and inadvertently helps him escape from the high-security lockdown. 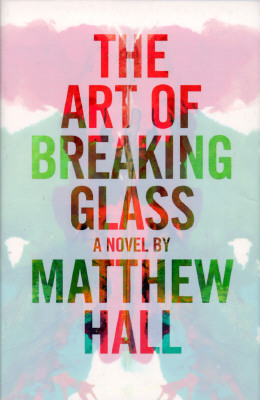 Written with breakneck pacing and unrelenting suspense, The Art of Breaking Glass introduces the mast perversely compelling relationship since Hannibal Lecter and Agent Clarice Starling -- and plunges us into a cunning game of cat-and-mouse that keeps us guessing right up to the last page. Description: HB with DJ. DJ with light edge rubbing but complete bright and sound. Boards and interior are clean and solid.